One Way Supply Corp. of Long Island was established in 1970 as a full-service restaurant equipment and supplies distributor. We are dedicated to providing our customers with excellent service, competitive pricing, and quality products. Our clients do not just include restaurants and bars. We also service institutional kitchens, bakeries, caterers, hotels, motels, clubs and delis. We may be located in Patchogue, Long Island but we service restaurants and bars from NYC to Montauk with all of their bar and restaurant equipment. 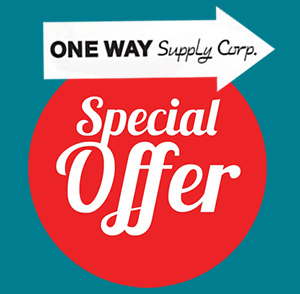 One Way Supply Corp. of Long Island is here to fill all your foodservice needs. We carry the big names in the bakery, restaurant and bar equipment industry. These items are as small as tableware and as large as ovens, ranges, and walk-in refrigeration systems. We have the top of the line restaurant equipment for your business. 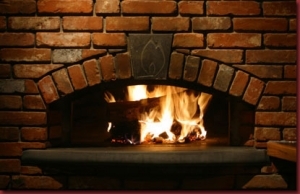 One Way Supply is an official distributor for Bakers Pride ovens, Garland Range and Turbo-Air. We offer restaurant equipment replacement parts as well. Our experienced and knowledgeable staff is always available to assist you. We provide free commercial kitchen design and consulting services. We offer a huge assortment of restaurant equipment, bar equipment, catering equipment, paper products and janitorial supplies. Our experienced personnel will deliver and set up your entire site. If you have a food service problem, we can help you solve it. Our 25,000 square ft warehouse is located in Patchogue, Long Island. Our warehouse and showroom are packed with inventory for immediate delivery. We provide free delivery of supplies on a weekly basis to our local customers and equipment as needed. If you have design concerns or are undecided as to which glassware, china or flatware best suits your needs come visit our expert consultants who can help you choose the best fit for your kitchen and/or dining area. The choices are vast and the quality excellent. We are here to help make your business or institution a success.